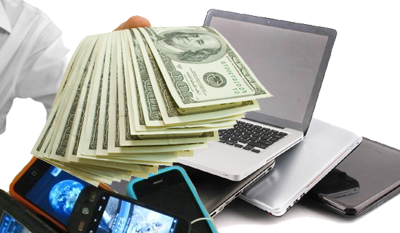 Get CASH for Your Electronics! See What Your Device is Worth is Seconds! Easy & FAST. Sell your device in minutes! Keep Your Electronics Out of Landfills! Get paid to recycle. Those old gadgets taking up space in the closet may be more valuable than you realize. 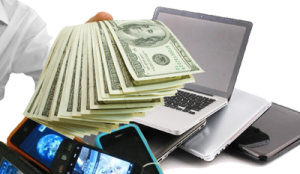 Now you can now easily sell your electronic devices without the hassle of online auctions or yard sales, keeping them out of landfills and getting paid to do it! Our affiliate partner, NextWorth.com, offers the easiest, fastest and safest way for you to sell and recycle your old electronics. When you sell cell phones, mp3 players, tablets, or other gadgets to us, you’ll earn cash while keeping old, used devices out of landfills. Answer a few quick questions online about your gadget. Get an instant online offer. If you accept, just mail your item in. For qualifying items you’ll even receive a free mailing box with a pre-addressed shipping label and free postage. Get a check (or payment via Paypal) a few days later! Just Describe Your Device and Have Your No-Obligation Offer(s) in Seconds! Get Rewarded for Being Green! According to EPA, U.S. consumers throw away nearly 2 million tons of consumer electronics each year, ending up as mountains of “e-waste” in landfills. Recycling begins with reuse and selling your used consumer electronics will ensure they stay out of the waste stream. After buying electronics, qualified buyers evaluate their condition, and those items in working condition are sold through a variety of outlets. Any personal data is removed first from all electronics resold. Any items without market value are recycled responsibly. Through our association with NextWorth.com, we at Rated4Stars are very pleased to be able to offer our visitors and customers an opportunity for responsible recycling. As our site is focused on consumer electronics products, we feel strongly that each of us needs to be aware and take responsibility for the growing number of electronics products or “e-waste,” entering our waste stream. We hope you find an opportunity to participate in Gazelle’s innovative recycling program. Please let us know about your experience. Thank you.